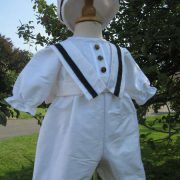 A wonderful twist on the ever popular Edward Romper. 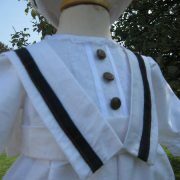 This time we have added tartan trim to the sailor collar. 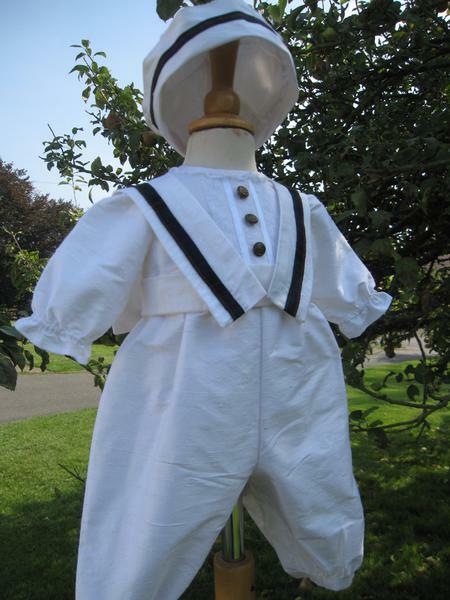 The Edward Christening Romper is a beautiful hand woven silk outfit that is classic in design. 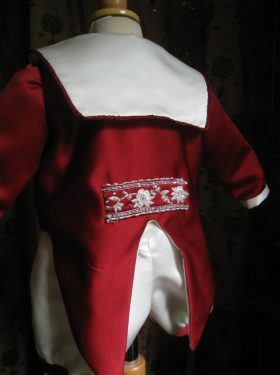 The bodice has lovely detail. 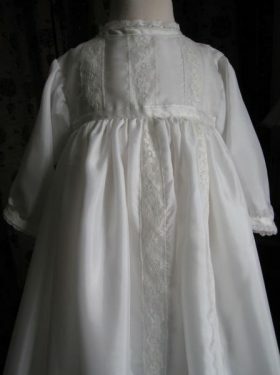 A vertical panel edged in lace also contains with vintage brass buttons decorated with little anchors. 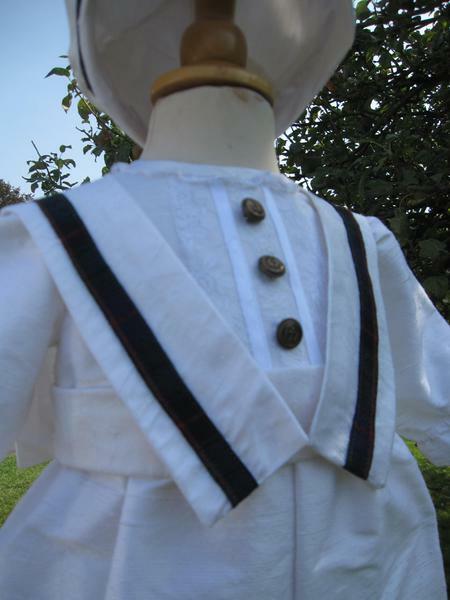 The sailor collar is also edged with tartan trim which adds a touch of Victorian grandeur. 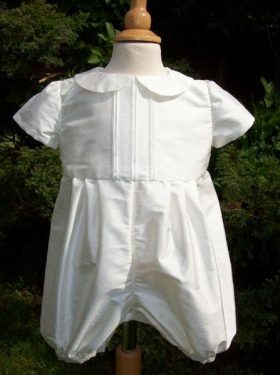 The collar is attached to the waistband at the front and also at the top button at the back. 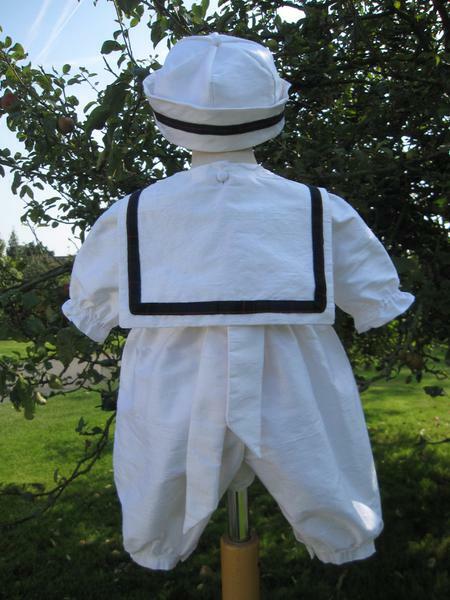 This enables the collar to be removed if wished. 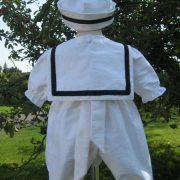 Long legs and long sleeves compliment the design although we can make the romper with short legs and sleeves if desired. Matching tartan trimmed caps, bibs, booties and shawls are also available. Once your order is placed we will contact you for your choice of tartan. 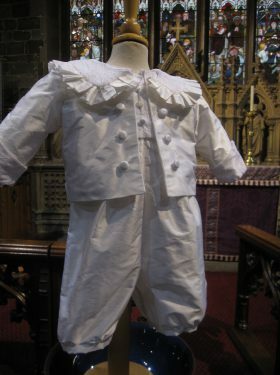 We are able to create this outfit in any Scottish or Irish tartan.